In a small bowl, combine the first eight ingredients; set aside. 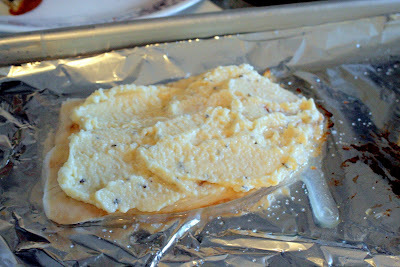 Line a broiler pan with foil and coat the foil with cooking spray. 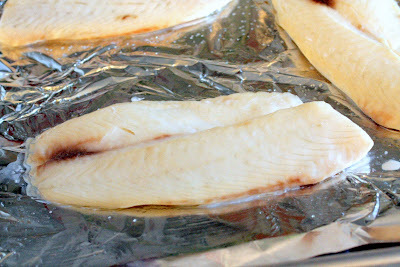 Place fillets in prepared pan; sprinkle with salt. Broil 3-4 in. from the heat for 2-3 minutes on each side. 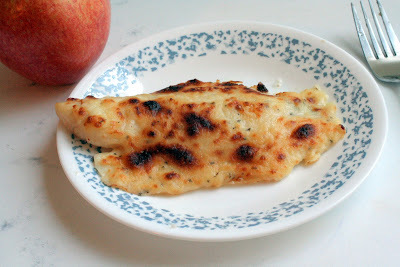 Spread 1 tablespoon cheese mixture over the top of each fillet; broil 1-2 minutes longer or until topping is golden and fish flakes easily with a fork. Yield: 4 servings.